Life’s been kind to Dave Grohl, who, despite being in two of the most pervasive rock bands in history, has managed to ease into adulthood with relatively few scars. That’s impressive since the dude still rocks like a much younger man, whether that be through his pre-show shots or his fiery onstage antics. The Foo Fighters’ ascendancy hasn’t been without its bumps, though. Back in 2015, Grohl himself took a much-publicized tumble while playing an arena in Gothenburg, Sweden, breaking his leg. 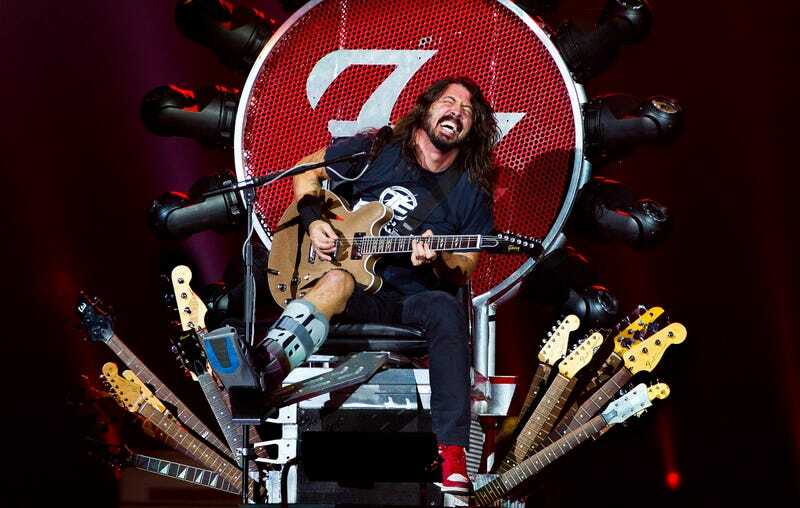 True to his legacy, however, Grohl emerged an hour later, his leg elevated, to finish the show. Later, while high on oxycontin, he designed a custom throne—see it above—that ensured he could continue that current tour. It was an unfortunate accident that resulted in Grohl only building his myth that much more. Watch a clip of the stunt below.